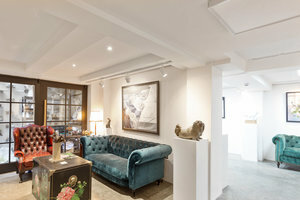 This sleek and sophisticated art gallery is located in the prime area of Chancery Lane. 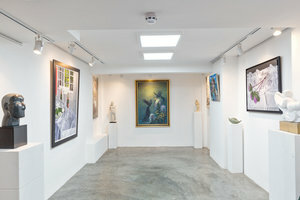 This white-box space of 1,500 sq ft is an ideal location for Art Exhibitions, Private Events and Product Launches. 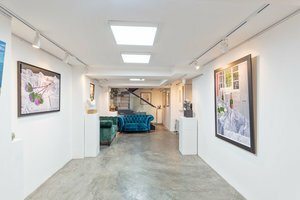 This welcoming gallery has a arty feel with entirely glass windows which allow plenty of natural light into the space, creating a beautiful ambience. The interiors here are refined with luxury wooden floors, white walls and spotlights. The space has a dynamic atmosphere and a creative modular layout adds a extensive feel to the space. 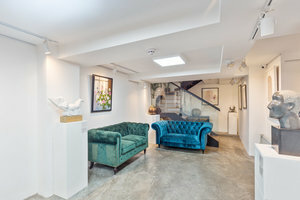 With facilities including a storage area and display cases as well as a staircase, this space can accommodate a range of art events. 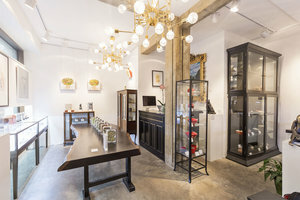 Surrounded by popular art galleries and high street retailers, this space is great for creative professionals and designers to host unforgettable events in a sought after setting.